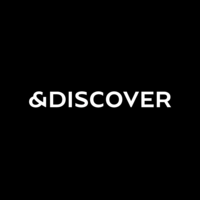 &DISCOVER (NDISCOVER) is a digital typography studio based in Lisbon. It all started when Natanael Gama decided to his own fonts, following his own feelings, intuitions and perceptions about the type design world. At this moment &DISCOVER is creating its own library while doing commissioned work for companies around the world. Our mission is to produce quality typefaces with a lot of personality for demanding graphic designers.